He was brought to Liverpool in the hope he could be part of the catalyst that would propel us one place higher after our second place finish in 2013/14, but it’s not worked out like that. 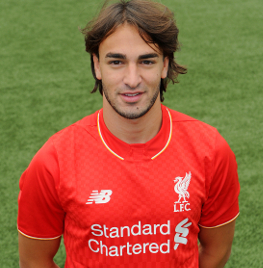 Instead, he spent much of the season as a right wing-back, then was bumped off to Turkey on loan last season. This season he has been loaned out again, this time to Sporting Lisbon. But it’s still not going to plan for the young Serb. He played in Tuesday’s loss to Dortmund, but it was only his second start of the season. He certainly didn’t have a great game, but it’s unclear if the booing was also directed at the fact he’s a former Benfica player. Did you see the match? Get in touch!